Bricklayers construct walls, partitions, fireplaces, chimneys, and other structures from brick, block, and other masonry materials such as structural tile, concrete cinder, glass, gypsum, and terra cotta. They spread a layer or "bed" of soft mortar that serves as base and binder using a trowel. The brick or block is then positioned and the excess mortar removed. Bricklayers must understand and work from blueprints, and be able to use measuring, leveling, and aligning tools to check their work. 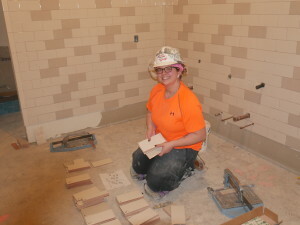 To become a skilled bricklayer training is essential. It is generally accepted that the more formalized training programs give more comprehensive skill training. Recommended high school courses include algebra, geometry, general science, mechanical drawing, and English. 1st Year: 50-60% of Journeyperson’s Wages. - 2nd Year: 60-70% of Journeyperson’s Wages. 4 - 3rd Year: 70-80% of Journeyperson’s Wages. - 4th Year: 80-90% of Journeyperson’s Wages. - 5th Year: 90-100% of Journeyperson’s Wages. 116,000 SF buildout in the historic Burnham building in Downtown Crossing. 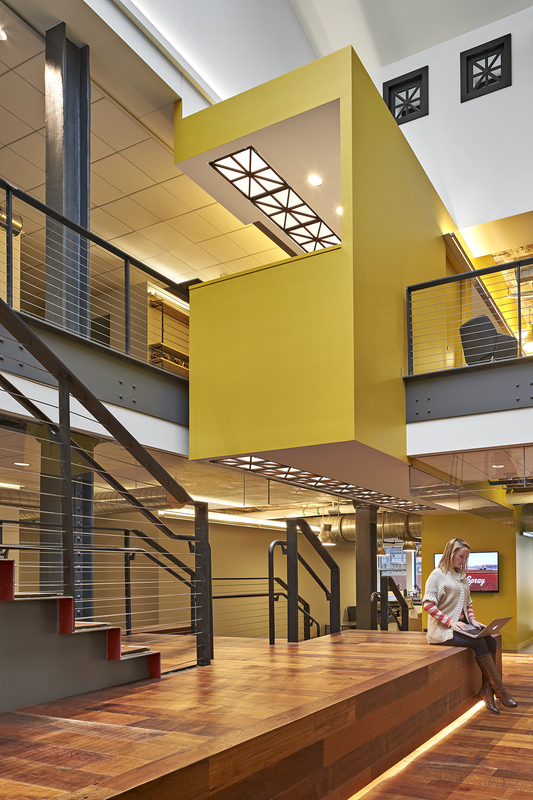 The space features a monumental staircase as well as 4 connecting staircases and serves as the agency’s Americas headquarters.